Yesterday Apple aired a bizarre lawsuit against smart phone maker HTC, who manufactures the hardware for the HTC Hero (Android 1.5) and the Nexus One (Android 2.1). The suit seeks to block the import of the phones from Taiwan. In the suit Apple claims to have invented, among other things, cell phone CPU undervolting, object oriented graphics on a cell phone, touch screen unlocking, and multi-touch gesture control. It is somewhat surprising that Apple received some of the patents in question, such as the patent on “Conserving Power By Reducing Voltage Supplied To An Instruction-Processing Portion Of A Processor”. When you peel away the technical language, the patent basically is talking about saving power by supplying less voltage to a circuit and some common strategies to do as such. Not only has that been seemingly done before (prior art), but it also is inherently given by laws of nature (power = current * voltage). If that’s patentable, the general concept of die shrinks should be patentable, overclocking would be patentable (watch out, Anandtech.com! ), and a whole host of other processes made possible by laws of nature should be patentable as well. Nobody thought Apple would sue; they figured it would simply sit on the patents as they were too tenuous and there was too great a risk of its competitors being able to establish proof of prior art. However, sue it did. Apple is obviously wary of an advancing Android phone army and feels confident that it can kill HTC’s smart phones in court. Now comes a critical test of American patent system and how supportive it is of Apple’s very broad claims. 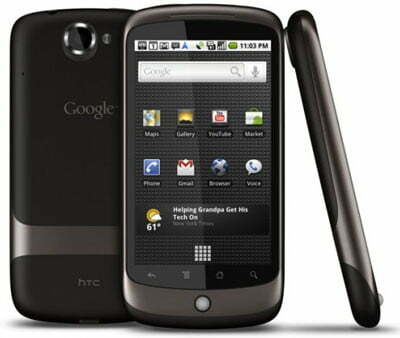 That test could determine HTC’s smart phone fate in America, in the long run. For now, though, its sales are safe (patent disputes typically take a year or more to be resolved in court).